Pop acts that draw their inspiration from the social and cultural aspects of our society are no rarity any more since the heyday of people like Dylan, Baez and Cohen. 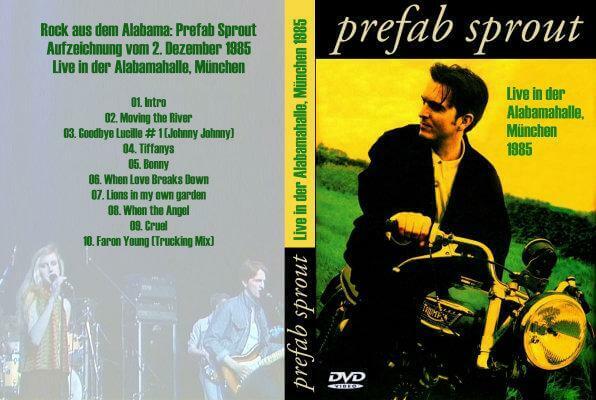 But a band whose members prefer the music of composers like Sondheim and Kurt Weil and have the complete works of James Joyce on the shelf earn a separate mention even given the social or intellectual approach of bands like OMD and Steely Dan Even the name is unusual, “Prefab Sprout” and they will boast that definitions like “Cool guys together” or “the Band as a Project” don’t apply to them. 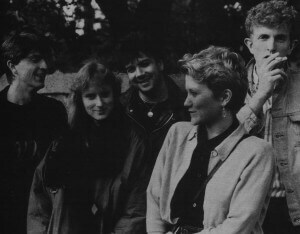 “The identity comes from the music, not from our wardrobe or the record company” said founder, singer, guitarist and composer Paddy McAloon, who along with his brother, bassist Martin and singer Wendy Smith constitutes the core of this rather unusual band from Newcastle dating back to 1977. After two single releases on local label Kitchenware (Lions In My Own Garden and The Devil Has All the Best Tunes), they signed a publishing contract with April Music (a subsidiary company of the giant CBS) and a few months ago with their first £ 5,000 advance on royalties they brought their first album “Swoon” to the market. 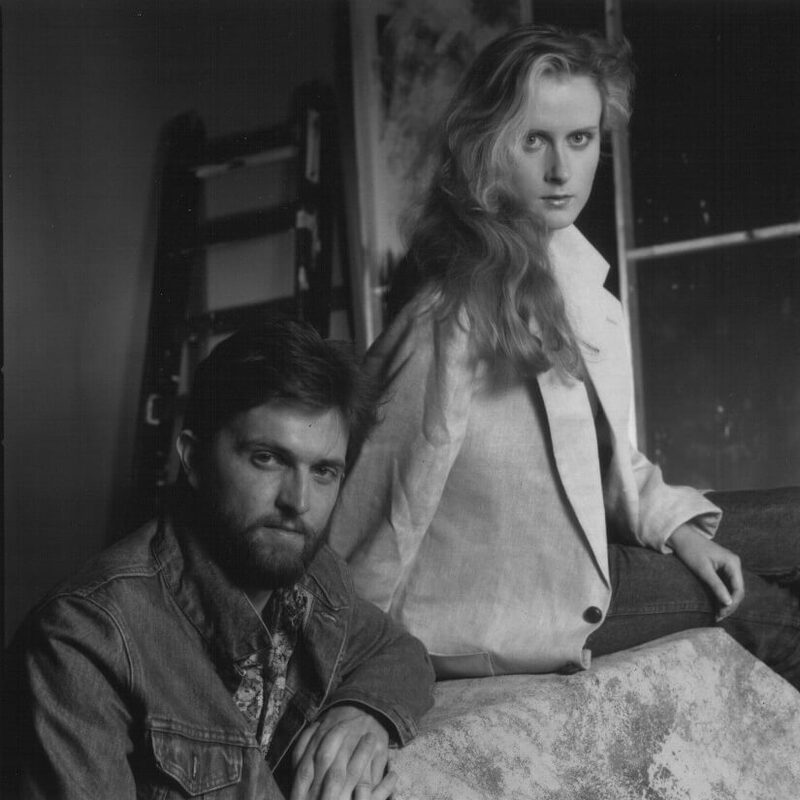 The album clearly demonstrates the central authority of Paddy McAloon who not only wrote the entire repertoire but also sings, plays all guitar parts and most of the keyboards, and together with David Brewis produced the album. The lyrics are impressionistic, often made up of fragments of thoughts (as McAloon describes them) and they reflect a musical tradition more of recital than singing. Also in the music, the influence of the musical structure dominates. Rather unusual chord progressions, the “normal” 24 or 32 bar structure is completely ignored and the melody follows the less conventional line of the lyrics. This element of alienation contributes to the European press’ comparison with “Steely Dan”. Paddy McAloon: This comparison doesn’t stand up. In the USA they just laugh at it. Steely Dan’s records are so fantastically well recorded and produced, that our product appears just a cluttered mess in comparison. They have in fact a fundamentally different approach, they are real studio musicians, not performers. I don’t believe it’s possible for them to bring the atmosphere and sound quality of their records to a live situation. For them the music revolves around a single event, a one off experience, where we’ll try to bring our repertoire to a stage setting. The only thing we have in common are the detail in the arrangements and less conventional melodies. But that’s like comparing a group to the Rolling Stones because they play Rock & Roll. Backstage: There is clearly an influence of musical composers such as Sondheim in general and specifically on “Swoon”? McAloon: People like Cole Porter, Richard Rogers, Sondheim and Kurt Weil have written incredibly beautiful music. I’m sorry this tradition is being lost in pop music. Popular music doesn’t have to be inferior by definition. The ideas underlying the songs have matured at a time when the disco craze was massively present. Without wanting to ignore the beat I wanted to draw attention to the structure of a song and the opportunities that a melody may present. Then naturally you can justify either banal or difficult structures. But we prefer to stand alone, otherwise in our opinion we’re going to sound like one of the existing pop groups. This is the only way to produce really contemporary things. A song like “Couldn’t Bear to Be Special” could be illustrated like this: a man comes out of a certain situation, turns to the audience and begins to tell his story, a kind of explanatory effect actually, directly targeted to the audience. And the rather unusual combination of the more jazzy chords with those melodies is very suitable for that. You can almost force the audience to listen. Backstage: Literature is very present in your lyrics. A conscious decision to make the alienation even stronger? McAloon: I studied English literature, so there will be a logical consequence following from that. James Joyce is one of my favorites. From him I probably get the idea of registering a thought, and as you begin to think, sometimes you jump from one topic to another. Also the use of repeating words for their sonority comes from Joyce. I’d advise people who don’t understand that to read Finnegan’s Wake. A masterful work, and so proficient that few writers have ever managed to imitate him. Backstage: Do you not think it is difficult for the average listener to follow your train of thought? McAloon: Especially when the songs were written three or four years ago. They would sometimes be written with the aim of being obscure. That tells me the lyrics were too important to the songs. But yes, there are moments in your life where you want so much to explain something… The things I do are far better kept closed. I now know instinctively what is allowed and what isn’t. I sometimes need to attract peoples’ attention and if it’s necessary to shock or confuse them to do that then I’ll do it. 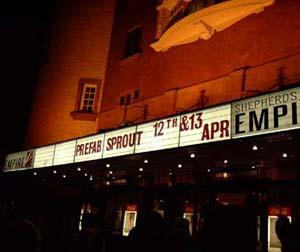 Backstage: As with names like “Prefab Sprout” or “Swoon”? 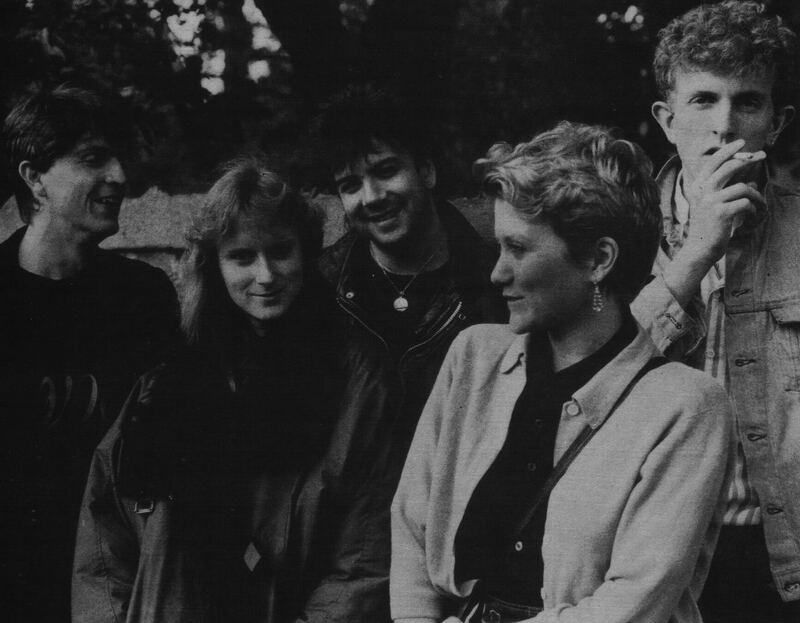 McAloon: In interviews for speed I say “Prefab Sprout” came from the song “Jackson” by Nancy Sinatra and Lee Hazlewood, but I actually had that name for years in my head. I knew I wanted to have something intriguing to name my band and that term seemed the most appropriate. “Swoon” is an existing English word and means “to faint,” it comes from the Anglo-Saxon “swógan.” But actually that name is chosen only for the sound, with no other ulterior motives. Backstage: Emma Welles, the woman who wrote the liner notes and the bio of your record company, however, says you mean “Songs Written Out Of Necessity”! McAloon: That woman doesn’t exist. I wrote them myself. This is a character that I’ve invented to create an unreal backdrop. A woman, apparently middle aged, who is going to write the liner notes of a rock band. Look, these things happen a lot nowadays. The press writes up an image because the music has no story to tell. For me, that woman is the personification of the image building which has now become the rule. The pinnacle of success for me is going to Los Angeles, getting all the expensive studio musicians to play the music, and then mixing it together. 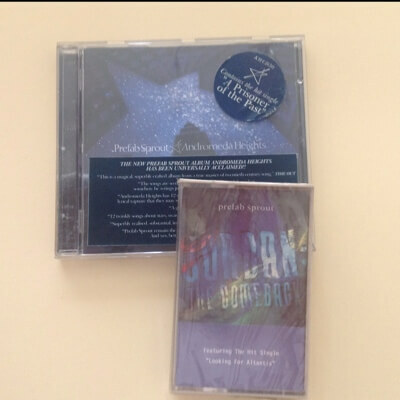 The ideal way to put the music together is sometimes seen as an embarrassment. Backstage: Need we still ask what you think of the music scene in 1984? McAloon: In my opinion the term “Street Credibility” has destroyed a lot in music. Professionalism, instrumental skills and theoretical knowledge are becoming insults. “Passion” is used to hide ignorance and as an excuse for a lack of ideas. And those who can’t write a decent song now “experiment”. Backstage: Do the other members have any input or control over the material? McAloon: My brother Martin and I will soon have been playing this game for 14 years together. We therefore feel perfectly at ease with each other but he leaves composing to me. His contribution is limited solely to the arrangements. Wendy Smith was actually not interested in music, she is also completely without prejudice. She’s not aiming for a future career with her voice and I can therefore safely use it for sound, use it as colour. The other members work only occasionally with us. For a tour or for the album we do a bit of selection, the right man on the right instrument. Maybe a bit like Steely Dan. Backstage: Do you think you have an equally bright future in prospect? McAloon: So far it’s been better than I’d hoped. We have a deal with CBS for eight LPs but I owe more to people like Keith Armstrong at Kitchenware. Those small companies, run by idealists, continuing to support quality in music are important, because the big ones have set their rules and take almost no risks any more. And if you compare people like Paul McCartney, Burt Bacharach, Jim Webb and Donald Fagan to Paul Weller then you see how low the standard has dropped nowadays. The future lies with small labels. For me there are a lot things I want to try and a lot of sounds I want put on tape. Moreover there are still a lot of words in the English language that have never been used in pop or rock music. The territory is far from saturated. Backstage: Keep ‘em Swooning, Iad! A most interesting read. Thanks for posting it.